It’s important to start your day right starting from the time you wake up. However, saying that is a different matter in actually doing it. Most of us would probably choose morning as the most annoying part of the day, especially if you’re up all night and you just get a short time to sleep. Just the idea of leaving your bed from a promising great and restful sleep because the sun is up and it’s already morning means the start of another busy day can really be frustrating. Although there’s a lot of things that can help you to start your day with a good vibe like designing your bedroom that can easily brighten up your day. The bedroom is the place we spend most of our time from waking up to sleeping yet also the most overlooked when it comes to designing. Every day our bedroom is the first and last thing we see before we start and end the day, that’s why we become accustomed to whatever our room looks like. We didn’t really realize that the room we spend most of the time is becoming more and more depressing that can influence and harm our mood, outlook and personality. Factor in the fact that we spend almost 1/3 of our lives in the bedroom which is all the more reason to invest in it. One of our clients in Batangas City notices the depressing look of her room and decided to renovate it to something fresh, relaxing and can help to brighten up her day. First she chooses a lighter and relaxing color for the wall. White might look simple and common but its undeniable relaxing and can bring a soothing ambiance in any room that’s why our client choose it. When it comes to brightening your room, windows are the best method because of the natural light from the sun. Although windows can lessen your privacy with appropriate window blinds you can still maintain your solitude. 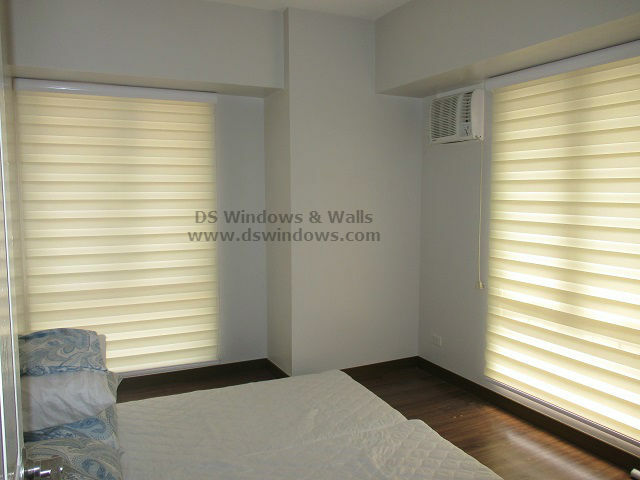 While choosing a window treatment you can also pick something that can enhance your room decoration at the same time. 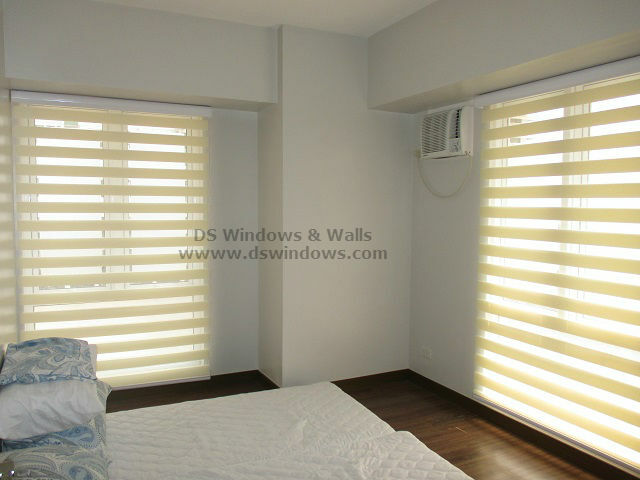 Combi Blinds can offer enough privacy, light and a great boost to your room interior design. With Combi blinds, even though it is closed it still permits some light to penetrate inside the room that creates a beautiful and relaxing dim light. Waking up in the morning with comfortable surroundings and soothing natural light coming from your window can lift your mood and can start your day great. Combi Blinds is the most well-known window cover today. With its stunning appearance and great functionality comes in different color and design pattern you will surely find the one that suits well with your window. For more inquiries please call us at (02) 893-1373 / (02) 403-3262 / (02) 668-9668 / 0916-311-3909 or visit our showroom at 2nd level Pacific Mall Lucena City, 3rd level Robinsons Metro East, Pasig City and 4th level Waltermart, Makati City. Visit also our webstore at www.angryblinds.com.ph.